However, as we were working to nurture a culture of welcome for ALL refugees who have fled war and violence we soon changed our name to Malvern Welcomes to reflect this. In recent months we have held events which have been attended by refugees now settled in Worcester and Coventry. We have shared joyful times, walking in the Malvern Hills and eating together. From our initial approach to Malvern Hills District Council in December 2014 we encountered many obstacles. Our request had to be taken to Worcestershire County Council as a county-wide approach was required. A report was commissioned which recommended that the council should not accept any refugees due to funding implications. This was very frustrating for us as we knew from the experience of our colleagues in other parts of the UK that the funding, which is provided by the UK Government, is adequate. We wrote many letters to MPs, councillors and local papers. 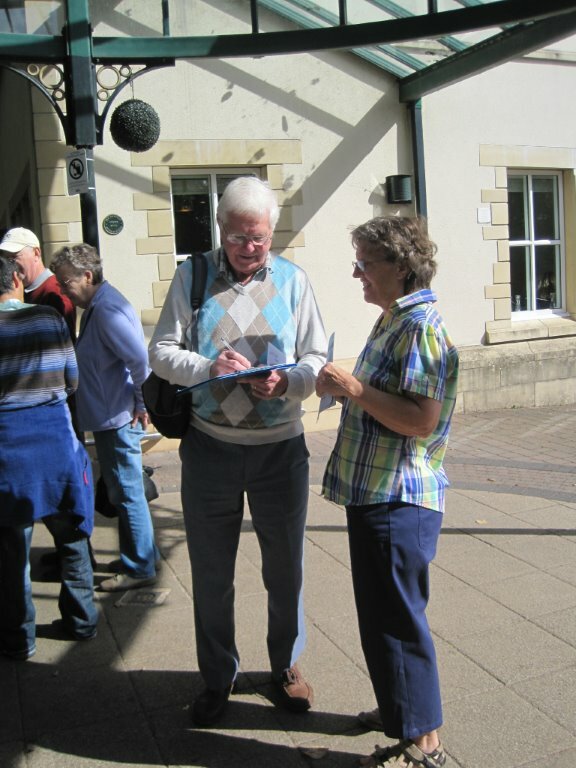 We collected signatures on a petition, engaged with the public, organized a demonstration in Malvern, attended council meetings and ran awareness-raising courses. We were growing all the time and an increasing number of people joined us in these activities. Finally, in January 2016, we were given the wonderful news that Worcestershire had agreed to resettle 12 Syrian families (50 people) with the possibility of a rolling programme to take more in future years. We are delighted that 12 families are now living in safety in Worcestershire. Currently none have been yet been resettled in Malvern due to difficulties in accessing suitable housing and lack of employment opportunities -obstacles which we have now overcome. ‘Bearing in mind the desperate situation of so many people, while understanding that matters are subject to the outcome of the General Election, we implore you to consider two separate UK Government schemes through which people can be brought to safety. We were disappointed to learn that there had been no discussion or decision made regarding taking further families on a rolling programme as we were expecting. This is very disappointing -especially as Worcestershire County Council has stated that the families who they have accepted have settled in very well in their first year. The council says that there needs to be a full annual review before they extend the SVPR programme -which means that the opportunity has been lost of bringing more people to safety before the harsh winter conditions set in. The other refugee welcome groups in Worcestershire share our frustration and in July 2017 the umbrella Worcestershire Welcomes Refugees organization was formed, consisting of Bromsgrove, Redditch, Wyre Forest, Malvern and the newly-formed Evesham Welcome groups. Each of these groups also remains independently in existence. We are currently working hard to encourage Worcestershire County Council to extend the SVPR and also to take some Unaccompanied Asylum Seeking Children under the Dubs programme.